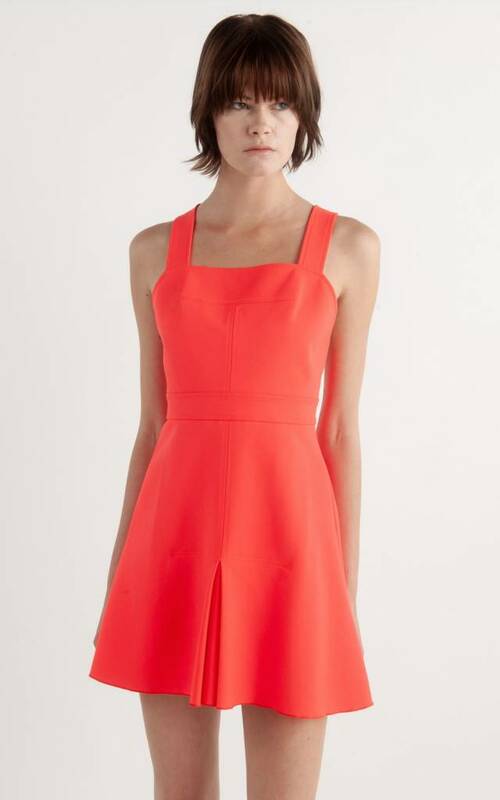 A square neck bustier apron mini dress that is fully lined with open back crossover straps, inverted box pleats for an A-line hem, fitted bust and waist, top stitching detailing, mid thigh hem and Italian double wool tailoring. 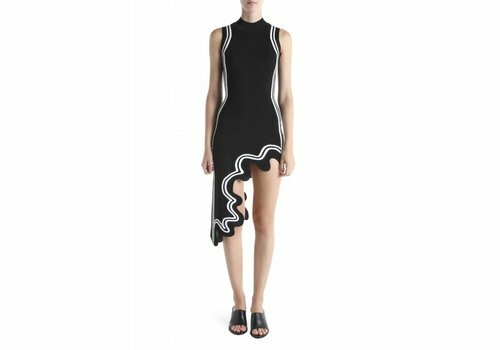 The Holster Mini Dress from Dion Lee is a fully lined front wrap mini dress with grosgrain tape belts. The Amelie Dress from Anna Quan is a cotton shirt dress with side seam pockets and waist shirring detail. Fits true to size. 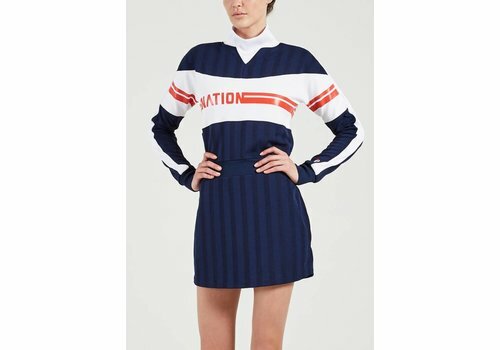 Super sporty and chic, the Stroker Ace Dress is a throw-back to old school cheerleader days but with an easy-wear, modern appeal.